Keeping your network, workstations and routers updated, stable and secure is becoming a more critical part of IT support, even more so, with the ever-increasing risk of security vulnerabilities being exploited on a regular basis. Patch Management is a fully managed service where we can remotely update your devices to help maintain efficiency, capability and ensuring the best security practises are applied. 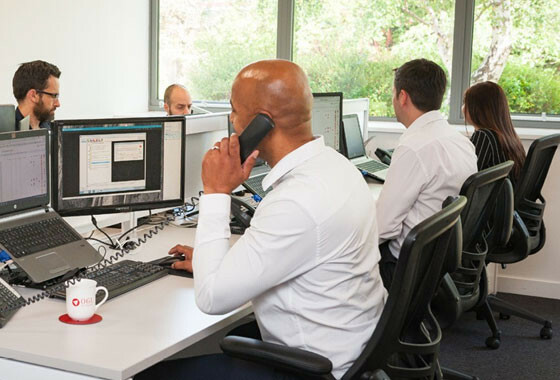 When controlled correctly via our managed software, Patch Management can help optimise productivity by minimising downtime as updates are run out of hours and frees up your internal IT resource from manual admin tasks. When not managed correctly, update services can stop, fail and be overridden by end users. The best and secure way to handle patch management is through a controlled and dedicated service. Why should I need patch management? Patch Management can sometimes be considered an inconvenience, it costs money, and has sometimes introduced potential issues when not managed correctly. With cyber-attacks appearing more frequently in the news, it’s imperative businesses keep their devices updated to help stop hackers exploiting security weaknesses. In fact, with your devices patched you are less likely to be affected by a cyber-attack as around 70% of cyber-attacks exploit known vulnerabilities. Un-patched software is also a magnet for malware. Whilst it’s crucial to have an anti-virus solution as well, a patched server or PC is less susceptible to malware and other viruses. OGL offers a fully managed Patch Management service to ensure your devices are updated, remotely on a regular basis. Any patching that is required is performed by a dedicated team of experienced Patching Engineers who are responsible for managing the approval of patch application, the monitoring of the success of each patch and patch reporting. If you are looking to enhance your OGL IT Support package, get in touch and we will be happy to explain in more detail how Patch Management can benefit your business.